Want to quickly see how the open-source software Lotus CMS works? You'll find a free and updated demo installation of Lotus CMS here. Lotus CMS is a content management system built using PHP as a programming language, created by a company called Vipana LLC. 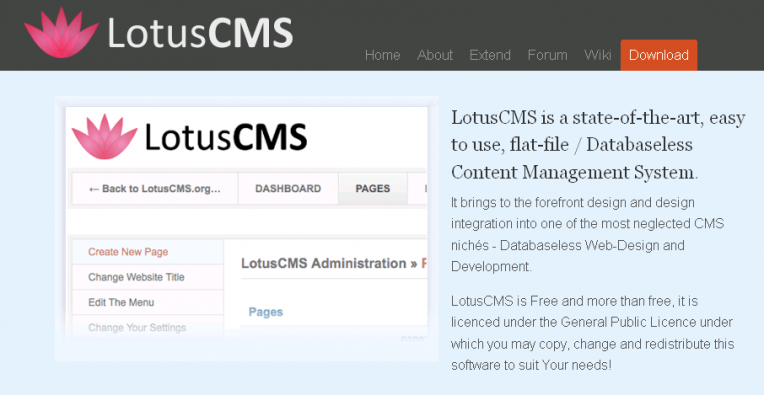 This CMS is no longer being developed or maintained by its team, so download the files to set up your own Lotus CMS demo might pose some security issues. The latest version released and available for download on Github is 3.0.5 and was last updated on January 28, 2016. The goal of Lotus CMS was to allow content to be published as widgets on google, yahoo, apple and vista, while at the same time allowing publishers to push content to consumers desktops and mobile phones. 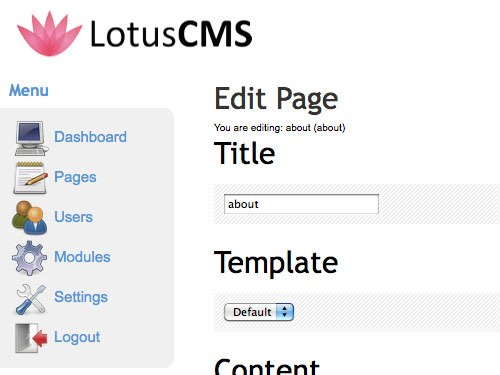 One of the key features of Lotus CMS was the ability to customize content using drag and drop functionality. However, Lotus CMS demos were know to have some security vulnerabilities as it allowed an attacker to comment on blog posts. Inturn this could write a file on the remote disk with possibly ‘malicious’ content inside. Creating a demo site required the following environment: an Apache 2.2.14 webserver that ran PHP 5.3.2. The screenshots below will give you a preview of how the admin demo of Lotus CMS looked like and what kind of features it had to offer. Some examples of features include an WYSIWYG Editor, friendly URLs, drag and drop functionality, image resizing and advanced caching to improve performance.